There are food mysteries and science mysteries. Sometimes they merge. And sometimes they expand. Like into outer space. Or the lack of outer space. Why are there no astronauts from Chile? Why does Chile not have a major, major space program? God knows they have fuel. I’ve tasted the fuel. It’s called pisco and it could either power a rocket or replace a large supply of muscle relaxants. In the 17th century, Spanish explorers in South America were importing pomace brandy from Spain. Pomace is made from leftovers of winemaking, i.e., it is cheap. But the Spanish explorers realized they could go local and even cheaper. Peru claims the right to the use of the term “pisco.” But Chile is a big producer, with a per capta consumption of 3 liters per year. Different manufacturers use different gapes in different amounts to achieve different levels of alcohol. Three grapes — Muscat, Torontel, and Pedro Jimenez — are used in the manufacturer. The resulting liqueur is clear and often has a lovely, slight yellow hue. Drunk neat, pisco reminds me of grappa, which is a similar post-winemaking product. At 40 proof and room temperature, pisco has the kick of an Andes llama. Which is why pisco is most often used in cocktails. You may have heard of a pisco sour, which classically uses egg white to produce a foamy top. For my Pisco Citrus Cocktail, I skipped the foam and just used three ingredients: citrus juice, simple syrup, and pisco. I’ve tried lemon juice, which is the recommended ingredient, but also lime juice, orange juice, and grapefruit juice. My favorite? Any and all. Well, I am partial to that grapefruit. You can adjust the relative amounts of the ingredients here. I actually deviate from the classic formulas and use about half the pisco of the standard cocktail recipe. The result is certainly sweeter but also fruitier. On a 90⁰+ day, I sip this and thank the ingenuity and dedicated drinking habits of those Spanish explorers. Place the ingredients in a cocktail shaker with ice and shake vigorously and long until well chilled. Pour into a cocktail glass. 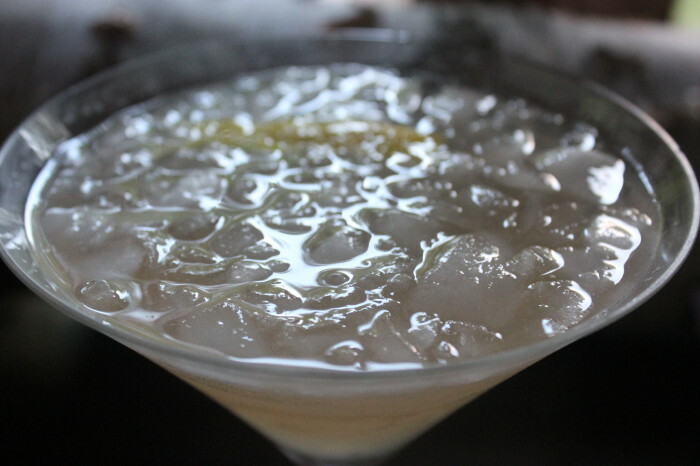 Add crushed ice and garnish with a strip of citrus [yellow lemon is good match for the natural yellow hint of the pisco].